Liverpool is a city with rich heritage and history, and since its big revamp due to the capital of culture title in 2008, it is now currently a thriving city filled with all types of new businesses popping up around the centre and surrounding areas. For this blog we have gathered the wisdom of our game operators to find out their favourite things to do around the city as well as any hidden gems they may know of. 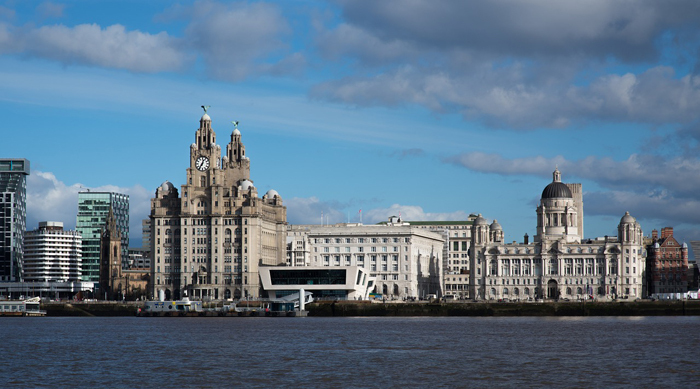 With this information, we have been able to create this post which outlines the perfect day and night in Liverpool. Every day has got to be started right, and the best way to do that is by having the most important meal of the day, which is breakfast. The best place to do this is at Rococo Café. This place is kind of a hidden gem despite it being on one of the busy main streets in Liverpool city centre. This café can be found by entering a doorway next to BHS which leads you up a staircase into the café itself. Once entered, you can kick-start your day by tucking into a variety of different meals to start your day perfectly. Now that you’ve got all of those carbohydrates inside powering your body for the day, the best thing to do would be to put that energy to use! The next stop on your perfect day should be at Spring City Trampoline Park. Not only do spring city have almost 100 trampolines in all different sizes, they also have basketball nets and dodgeball courts to keep your blood flow pumping! After all of that exercise you’re bound to have worked up a bit of an appetite, and I hope you’re hungry, as Lucha Libre has the perfect lunch time menu for you. Depending on how much of an appetite you’ve worked up, you can choose from a range of burritos, chicken wings, burgers, nachos or even salads. With a little bit of time before your evenings events, why not spend an hour down at Breakout Liverpool? We have got 7 different themed escape rooms to choose from at various different difficulty levels, so depending on what sort of challenge you’re looking for, we can accommodate to you! If you managed to breakout with a decent bit of time left on the clock, you will have some spare time to check out the culture Liverpool has to offer. This city has various museums and art galleries to keep your culture tastebuds tingling. Solving puzzles can be tiring, so by now you’re probably hungry again, so it’s time for the main event. It can be difficult to choose what you want to eat for your biggest meal of the day, which is why we are going to give you two recommendations, because we're nice like that! If you want something exotic and spicy, you should go grab a bite to eat at Mowgli which boasts casual Indian small plates in a street food style setting. Your food will be served like tapas, in small plates and brought out as and when it is ready to be served. The Mowgli menu has an array of different tastes of India, and don’t forget about the whole vegan menu they have to offer too! If you want something meaty, look no further than Cowshed. This is a fairly new establishment situated on Seel Street, and they offer arguably the best steak Liverpool has to offer. Now that you’re ready for the night ahead, there is no other place to go than Bongos Bingo which is arguably the biggest, best and most popular night Liverpool has to offer. Forget the bingo your Nan knows and loves, Bongos Bingo has refreshed and revitalised bingo, with ridiculous prizes on offer and intermittent rave rounds, this event will make you wish all Gala Bingos around the country were exactly like this! Whether you’re spending your winnings or drowning your sorrows as you were 1 number off a full house, you will be looking to continue your evening in a bar or club. Liverpool is a city renowned for its nightlife so it is difficult to point you in the direction of one specific place to end your night, so if you’re looking to dance to some old school R&B Maya or Brooklyn Mixer is the place for you. Whereas if you’re looking to sing along to some rock and indie, look no further than Mojo. This selection of fantastic local & national businesses will hopefully make your visit to Liverpool very eventful and one to definitely remember!